Numerology is a mathematical science that interprets the mystical influence numbers have on humanity – both individually and collectively. This is not a “new” science, as nearly every ancient civilization understood that numbers contain powers that influence. The number eight affects us like no other. Practicing and recognizing the predestined Numerology embedded in our current lifetime and as it occurs in our day-to-day life has endless benefits. It aids in decision-making and planning for the future, as we are able to better understand ourselves and the world around us. 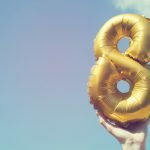 In this article, we will be discussing the energy of the number eight, how its shape reflects its meaning, and other relationships across the astrological zodiac and tarot deck. Number eight is dubbed a lucky number for very good reason. The 8 expresses an energy of professionalism, management, self-confidence and authority. These qualities work alongside the vibrations of discernment, insight, and the inner strength required to obtain and utilize the divine wisdom of the Universe. The eight is able to “build” as well, but does so by intertwining concerns from the physical world with spirituality – as it possesses the skillful capability to uncover infinite dimensions contained in both. Number eight represents a vibrational frequency of tackling challenges, rising above any adversity, and embracing opportunities with intentional action and methodical mental intuition. Number eight is also a balancer of karma. If you are able to maintain an evenly balanced character, mentally and spiritually, you will inevitably achieve success in this lifetime. However, the expression of number eight passes along a reminder that just as easily as you can manifest and create, you can just as easily destroy. Eight has an energetic message within to remember that temperance of both tangible logic (in the physical), and soul intuition (in the spiritual realm), is a detrimental character trait you must consciously maintain at all times. The shape of number eight visually reflects its meaning more obviously than all of the cardinal, single-digit numbers. It is evident that the shape is immaculately balanced – this is indicative of karma, giving as much as receiving, and the Universal Law of Cause and Effect. The 8 is an infinity symbol turned on its side, which of course represents our existence at its core: the infinite cycle of death and rebirth, existence and enlightenment. Another representation of infinity resides within our chakra system: the flow of energy through each of our chakras and back reminds us that healing is achieved when our energy centers are balanced, and a balanced chakra system is required to achieve harmony and nirvana. The responsibility of us to balance our physical will and spiritual strength is just that: infinite. The 8th sign of the astrological zodiac is Scorpio, a fixed and intense water (emotional) sign. Scorpio reflects curiosity, inner passions, sexuality and courage. It expresses a vibrational energy of resourcefulness, assertion, and determination – while also possessing a calm nature (as with the “Strength” card we will mention below). Scorpio tends to be interested in mysticism and spirituality, while also having a strong will power for achievement in the physical world. Scorpio is represented by the glyph of The Scorpion, which is very telling of a Scorpio’s nature. This is an animal known to rather kill itself than be killed by another. Scorpions also have a skill of regeneration, displayed in the fact they can lose their tail but quickly grow a new one. Thus, Scorpio is well-known for having a calm demeanor unless tested (such as with the stinging Scorpion), but can quickly bounce back from any challenge they are faced with. Scorpio is filled with passions and desires of all kinds, and work ridiculously hard so that eventually they will be satisfied with themselves – both externally in the physical, and internally in the spiritual. Scorpio knows what it wants, but is an expert at working behind the scenes and striking when the moment is within divine timing. A very intuitive sign, they are obsessively interested in the darker sides of life and are extremely psychic – their mental capabilities are second to none. They have patience and as they are utilizing that intuition, they devise a slow but steady strategy, weighing out every possible outcome their higher mind allows them to see. They are not afraid to “get dirty” during any process, meaning they’re willing to do whatever it takes physically and mentally to get the job done, while balancing and valuing the two aspects equally. The 8th card in the Major Arcana of the Tarot is the “Strength” card. The Strength card resonates with the energy of masculinity, representing the determination, capability and inner power of the soul to breeze through obstacles. The Strength card reflects a balance of maintaining human, divine and animal instincts. When the Strength card appears in a reading, it reminds us that we have the strength to tame the egotistical and assertive beasts within ourselves. The illustration of this card shows a compassionate woman, (with an infinity symbol over her head), having the patience to tame a ferocious lion, being tolerant and intuitive of his needs. Having willful strength means nothing without confidence and patience on the inside, underneath the surface. Keeping composure while being tenaciously focused on what needs to be done will cause the most efficient and favorable of results. It expresses an energy of having double the strength of the number four, now having the wisdom to maintain inner strength alongside outward strength. The vibration of the Strength card is one of compassionate control, acceptance and forgiveness to build a stable foundation to gently influence others. It may indicate a time that you must be conscious of instinctual desires, and balance them by viewing the situation with love instead of aggression. Number eight possesses an expression of strength, balance, and infinite opportunities for success. Compassion and instinct, physical and spiritual, patience and tenacious willpower – all must be balanced in this lifetime to inevitably eliminate karma and bring about endless achievement and successful growth.